My dear friend had broken her hip two days earlier, so I got up early and made my way down to the hospital to pay her a visit. On the way, I was chatting it up with another friend on the phone – hands free of course. Yes, I was still talking as I found a parking spot, and even as I walked into the hospital lobby. It had been years since I’d been to this particular hospital, so I ended my call in order to ask for directions to my friend’s room. As I looked around, I was instantly filled with anxiety. It took a second for my head to catch up to whatever was going on in my heart. And then I realized where I was. Okay, so of course I ‘knew’ what hospital I was in, I drove myself there for crying out loud, but I was so distracted by my conversation that I was operating on auto-pilot. The minute my phone was off and my surroundings came into focus, my emotions kicked in. You see, my son had been in this very hospital 24 years ago, at the tender age of 11 months. His pediatrician found a tumor on his kidney, and consequently, the kidney was removed. While I’m grateful my son made an excellent recovery and has been healthy since, the ordeal was one of the most traumatic of my entire life. And in an instant, all of the memories and fears I’d buried for such a long time came rushing back. I took a deep breath and made my way to the elevator. When I reached my friend’s floor, and the elevator door opened, I was again, completely unprepared for my emotional response. Each of the patient floors are set up in a unique pod arrangement, and memories of the familiar layout began swirling furiously in my head. Honestly, if you’d have asked me exactly what the pods looked like six months ago, I’m not sure I could have responded with any degree of accuracy, but remembering them and seeing them are two very different beasts. For as real as my memories felt, it could have easily been 1991. The hallway started spinning and it was hard to breathe. My legs were wobbly and it’s a wonder I didn’t pass out. I was totally unprepared and blindsided by the overpowering rush of memories and feelings. What a vivid reminder of the power behind our minds and emotions. Later, on my drive home, I was thinking about how many memories we have, running unbeknownst to us in the background, which are affecting our decisions, behaviors, and attitudes. I would argue a preponderance of them! When unpacking an issue or a sensitivity I’m plagued with, I often find there is a connection between ‘it’ and something I’ve experienced in my past. Understanding this can go a long way in managing emotions more effectively, and even handling ‘surprises’ with more success – as long as one gets off the cell phone and pays attention to where they are! Think about instances where you’ve felt an immediate reaction to a situation. Whether it be anger, distress, sadness, anxiety, or even joy, comfort, or confidence, chances are your body is reacting based on a previous event. I hate goodbyes, and I can pinpoint a very painful instance that occurred when I was just four or five years of age that produced this negative reaction. I’m terrified of lightening, and the game changer was being stuck in a lightning storm as a teenager. I had no fear of lightening or storms prior. I panic if I feel someone is abandoning ship; specifically the ship that I’m on! I can deal with rocky, or having to work really, really hard, but to bail is akin to the worst kind of decision imaginable. And yes, I have a pretty good idea, now, where this stems from. But we aren’t to ‘live’ in the past. In fact, God actually speaks against it. So the challenge is how to reconcile our experiences and memories, which will inevitably spring up, with our new life in Christ. Understand The Origin – Acknowledging and unpacking the root of an issue or problem will go a long way in conquering any residue of negative emotion. Fix Your Eyes Forward – Living in the past won’t change the future, but ‘pressing on toward the goal’ will! After you unpack the problem, don’t move in. Move forward! Embrace God’s Gift – Your new life is IN Christ and through Him you are saved. When old haunts creep in, it’s easy to quickly shake off their grip when you live in His truth. Nothing can separate you from that blessing. Journey on, in and with Christ! Our histories are rich with experiences, both good and bad, which make up the very unique person we each call ‘ME’! Suppressing our past is detrimental, but understanding it, growing from it, and finding freedom to live a life firmly rooted in the glorious life Christ has planned is essential to lifelong peace and joy. I can’t change what happened to my son, nor can I say with any degree of certainty that I won’t have occasion to visit that exact hospital again. Goodbyes may still be painful, I won’t be out dancing in any upcoming storms, and I’ll likely be hurt if someone prematurely (IMHO) abandons ship, but I know that regardless of whatever situations I encounter, and in spite of any past hurts or negative experiences, God has made me whole and will keep me whole. He always has my best interests at heart, will never leave nor forsake me, and will love me all the days of my life. My confidence and joy comes from the Lord, and I pray that yours does too! This entry was posted in Inspirational, Self-help and tagged Challenge, emotion, experience, experiences, feeling, freedom, God, history, hurt, joy, memories, memory, past, peace, struggle. Bookmark the permalink. 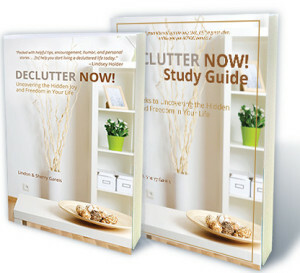 ← 20 Best Decluttering Hacks Ever! This is so good! A friend and I have been talking about a potential book she wants me to write to help people who are ‘stuck’ in their tragic pasts to move forward, and these are the same things I was thinking about … it’s nice to see it written out and I can’t wait to share this with her. Glad this was helpful! It’s unfortunate how epidemic this ‘stuck in the past – problem is, but the pain from difficult experiences and memories can be incredibly life debilitating. There are some that need extensive counseling and trauma recovery help, but I think the majority of people could make a hugely positive impact if only they would exert some intentional effort and allow God to do a work of healing in their lives. Thanks for chiming in, Carrie! And blessings on the potential book!